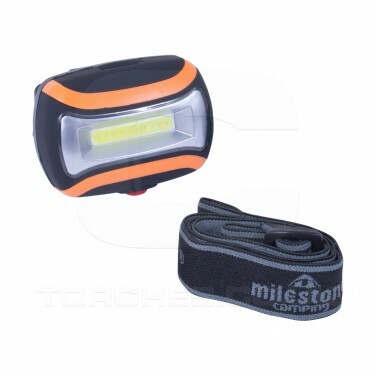 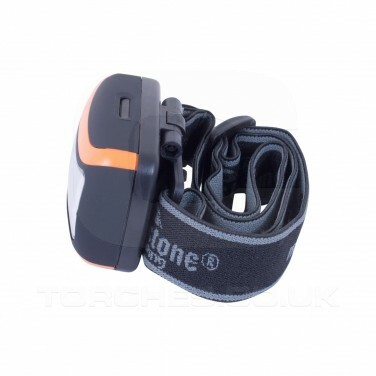 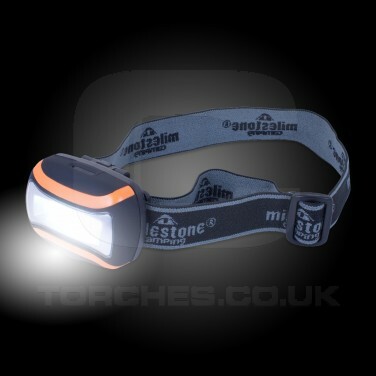 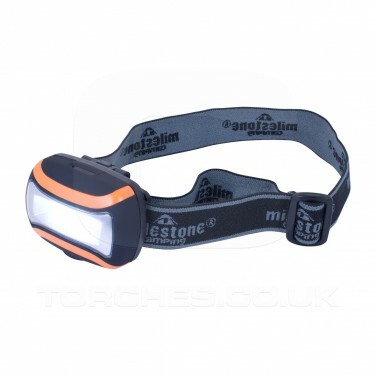 Illuminate tasks and activities and keep your hands free with a super bright head torch with a huge 80m beam range. 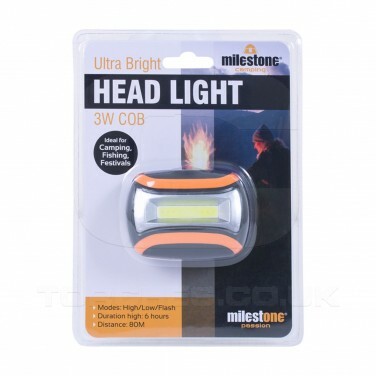 Perfect for camping, sports and outdoor activities, or for practical use, this 3W Cob LED head light has a 180 degree adjustable lamp that shines in three modes; high intensity, low intensity or flash. 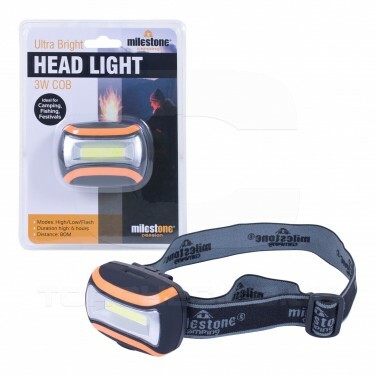 The soft rubber casing and adjustable strap ensures comfort, and with six hours duration of continuous use, this handy head torch has you equipped for whatever the dark will bring!